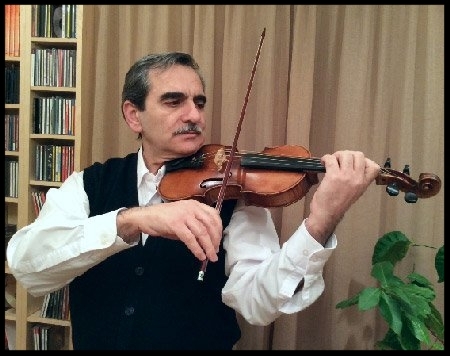 Tigran Dolukhanyan, Violin and Viola teacher at Winchester Stage Music Center. Tigran Dolukhanyan began playing violin at the age of six, and since has performed in numerous symphony and chamber orchestras, including the Yerevan State Symphony Orchestra (viola), Lowell Philharmonic Orchestra (violin), Chamber Orchestra of Yerevan State University (violin, concertmaster), Chamber Orchestra of Yerevan State Theater of Opera and Ballet (violin), Chamber Orchestra of Moscow State University (violin), Chamber Orchestra of Yerevan State Polytechnic Institute (viola). Tigran has taught violin, viola and string/chamber ensembles for more than 15 years to students of different ages and levels. Currently he is a faculty member at Keys for Kids music school and Suzuki Institute of Boston. He is a graduate of Spendiaryan School of Music in Yerevan, Armenia, and holds an MS and a PhD in Physics.